Online video education is a hot space right now, thanks to the likes of Khan Academy, Coursera, Udacity, StraighterLine, Lynda.com, CreativeLIVE (and many more), which are collectively on a mission to democratize education and bring affordable, online learning tools and courses to a global audience. While the rising tide of video-based learning has lifted all boats, it’s also led to some crowding. With more and more players entering the space, it’s become important for startups to try to set themselves apart from the pack and show evidence of workable business models. Launched in 2010, Udemy has approached differentiation by working to become the go-to marketplace by which anyone and everyone can host, offer and take a video-based online classes. With a growing uncertainty over the role teachers will play in the future of education and higher ed classrooms, smart education companies are looking for ways to empower not only formally-trained teachers, but educators of all stripes. To do so, Udemy is today introducing a new version of its course-creation platform geared specifically towards teachers. The platform aims to bring expert and novice educators alike greater control and ownership over their online content, helping them to organize and structure that content through a curriculum editor and a more robust toolset for managing and promoting their courses. Having experimented with different approaches to the presentation and distribution of digital ed content, specifically in regard to their effect on learning outcomes, Udemy concluded that one of the most critical components — and oft-overlooked — is a well-structured curriculum. So, the startup rebuilt its curriculum editor, which now encourages teachers to build an outline as the first step in the course creation process. Using the new curriculum editor, teachers can drag and drop lectures and sections to organize their content into a more structured course. On top of that, considering that many of Udemy’s teachers are in fact real world experts and not those well-versed in pedagogy, the startup has re-tooled its course creation process. Once they’ve outlined their course, they are served step-by-step guidelines and best practices that touch on everything from planning to promotion. The idea, if not already clear, is to help streamline the course creation process and make the onboarding process smoother for those not already familiar with Udemy or technology like it. 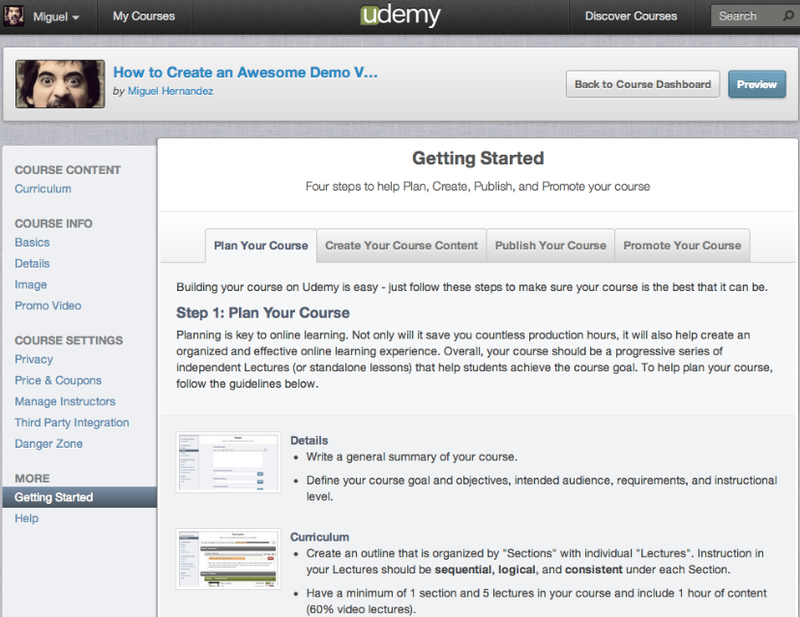 The teacher UI has essentially become “dummy proof,” as it maps out guidelines for course design and delivery. Udemy Co-founder Eren Bali tells us that the most requested feature among instructors was more advanced marketing and promotional support — especially critical for the increasing set of Udemy experts looking to earn a steady income from their courses. 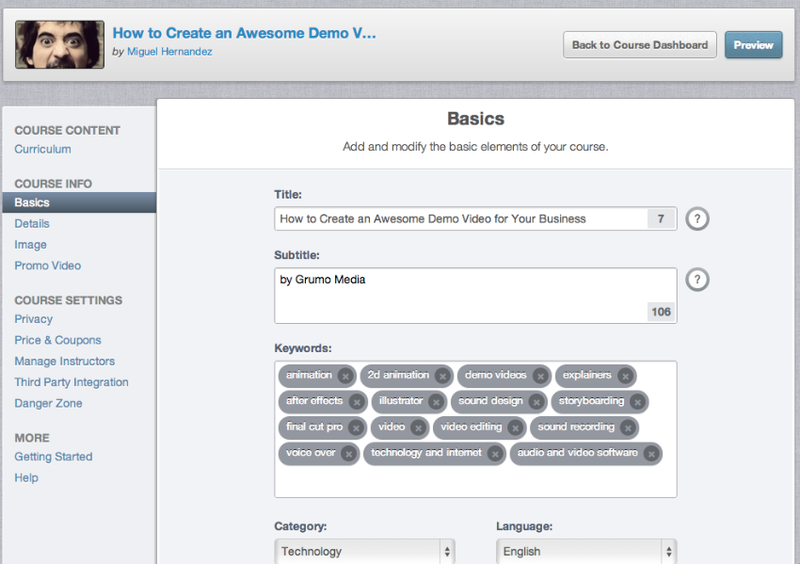 The Teacher Redesign, then, naturally takes advantage of Udemy’s built-in marketplace, but instructors can now also offer discounts to prospective students with coupon codes — or offer their content through the startup’s affiliate program. To further support teachers, Udemy has also made an effort to build out support communities and now offers a customized Facebook group called “The Udemy Faculty Lounge,” for example, which gives instructors a forum to share best practices, content and connect teacher-to-teacher. Considering the importance of the job they do every day, teachers tend to be an underpaid segment of the workforce. Dwindling resources, tight budgets and an increasing amount of noise being made about technology’s potential to undermine their position in the classroom, all have an adverse effect on teacher morale, with student engagement often suffering as a result. Finding ways to empower educators with technology and digital learning tools is becoming all the more important, and sites like TeachersPayTeachers that offer teachers supplemental compensation for the work they do every day (with the additional time-saving benefit of not having to reinvent the wheel every night, which then frees them up to focus on, say, how to personalize instruction) can play a key role in improving learning outcomes — and the system as a whole. Like TeachersPayTeachers, Bali tells us that Udemy recently had its first instructor reach $1 million in sales, an important milestone in terms of demonstrating the value of the marketplace model — along with validating Udemy’s approach. The million-dollar milestone and the redesign of its teacher-facing UI come on the heels of strong growth for the startup over the last year. Over the last nine months, the co-founder said, the company has been seeing steady 20 percent month-over-month growth. To date, instructors have published 5,000 courses on Udemy in subjects ranging from self-help and design to photography and programming, with 1,500 of those being paid courses — a number that has increased 7-fold since last year, Bali said.